Exeter School is pleased to complete this year’s Oxbridge admissions process with the announcement that three pupils have been offered places. At Cambridge, Charlie Mayall has an offer to read Medicine and Jamie Stephenson an offer to read Maths, both at Jesus College. At Oxford, Deputy Head Girl Tegan Murphy has an offer to read History and Economics at Pembroke College. Tegan said she was delighted with her Oxford offer and excited at the chance to study there. Charlie said he was extremely pleased to have received an offer and planned on starting in 2019 rather than taking a gap year. Jamie said he was very surprised to receive an offer as he had thought the interview did not go well. He had some very useful practice interviews with his Maths teachers beforehand and is now concentrating on meeting the grade requirement. 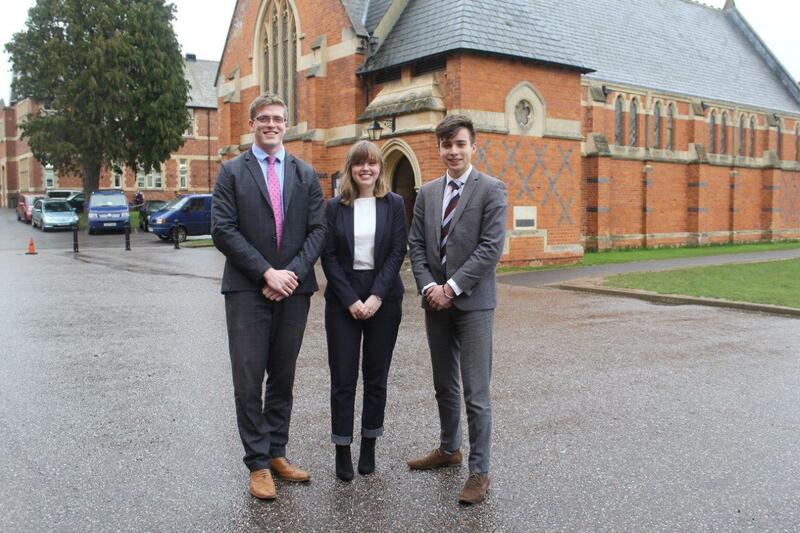 Oxbridge Coordinator Miss Hodgetts said the intellect and enthusiasm for their academic subjects have been recognised in these talented applicants in the global race of 2019 for places at Cambridge and Oxford. In the last five years, 38 pupils have received Oxbridge offers. Exeter School has an excellent record of success in placing pupils in a range of leading universities.